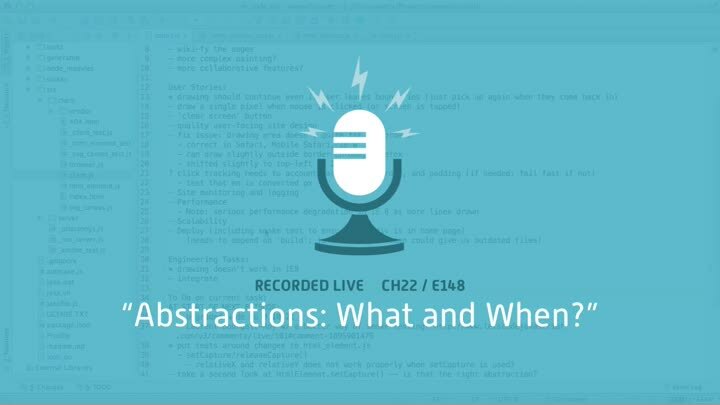 E148: Abstractions: What and When? We start by reviewing a new approach to smoke testing suggested by Laurent Bourgault-Roy, then dive back into our code cleanup work. Our goal this time is to figure out the best way to incorporate the Capture API into our design. That leads us to ponder one of the great mysteries: what abstractions should we create, and when should we create them?